For the brides of today, Global Beauty Secrets (GBS), a premium beauty brand for modern day women, has put together a beauty kit that brings them unique beauty secrets followed by brides from across the world. These five products are a must-have for the Indian brides who want their skin and hair to look perfect, making them glow with flawless beauty on their special day. 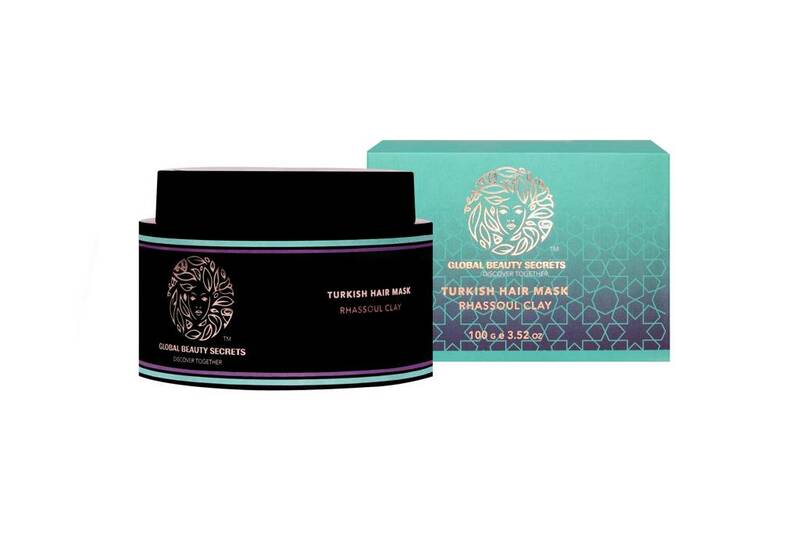 The Rhassoul clay in the Turkish Rhassoul Hair Mask is widely used in Turkish Hammam bridal baths before weddings. Not only does this organic and intense hair mask condition and detoxify, it also nourishes the hair, reduces oiliness and restores balance to the scalp. It is enriched with olive oil, honey and vitamin E.
The fragrant Rose has been a close companion of Indian brides right from the ancient times of queens and princesses, and rightly so. In the ancient Indian text of Kamasutra dating back to 400 BC, it is mentioned -'A dutiful wife should grow flowers to create the right ambiance for love. The fragrance of the rose is a powerful mood enhancer, promoting emotional well-being by helping one to relax. Global Beauty Secret’s Indian Rose and Kewda Body Mist has rose and Kewda - a component of ‘Attar’ which is a highly concentrated perfume used in India since ancient times. This fragrant combination in this body mist will refresh brides and uplift their spirits during the tiring pre-wedding flurry. The aloe vera distilled base in Indian Body Mist moisturises the skin after being sprayed on. Who would have thought that combining Aztec chocolate and walnut in soap gently nourishes and exfoliates your skin? Global Beauty Secrets brings for the brides in India, the Aztec Chocolate and Walnut Soap. The Aztecs believed that the cocoa seeds were a gift to mankind from their god of wisdom Quetzalcoatl. High in anti-oxidants, the chocolate nourishes and protects the skin and maintains the moisture balance while making it glow. The walnut shell particles in the soap gently exfoliate the skin. In Aztec, it was believed that the exchange of the chocolate drinks amongst the bride and bridegroom marked the completion of marriage ceremony. No wedding is complete without that effusive bridal glow. Japan’s ancient legacy of beauty for its brides, the Adzuki Bean, is high in antioxidants and a great exfoliator. It is brought to India by Global Beauty Secrets in its very special Adzuki Bean Face Wash. This face wash gently buffs the skin, reduces acne and is the perfect solution to brighten your face by stimulating blood circulation. Also, yogurt is one of the many ingredients used by Indian brides because of its moisturising properties that make the skin supple and youthful. The Greek Yogurt and Lavender Body Moisturiser from Global Beauty Secrets is enriched with proteins, vitamins and minerals that soothe and moisturise the skin while preventing sunburn. With its calming, aromatic fragrance, lavender essential oil is a must for nervous brides. All the ingredients are sourced from natural origins and the product is 100% vegetarian, not tested on animals, paraben free and recyclable. A shout out to all brides and her friends come let’s discover the beauty secrets together.